du 17 au 23 octobre prochain ! dans son dance hall survitaminé. 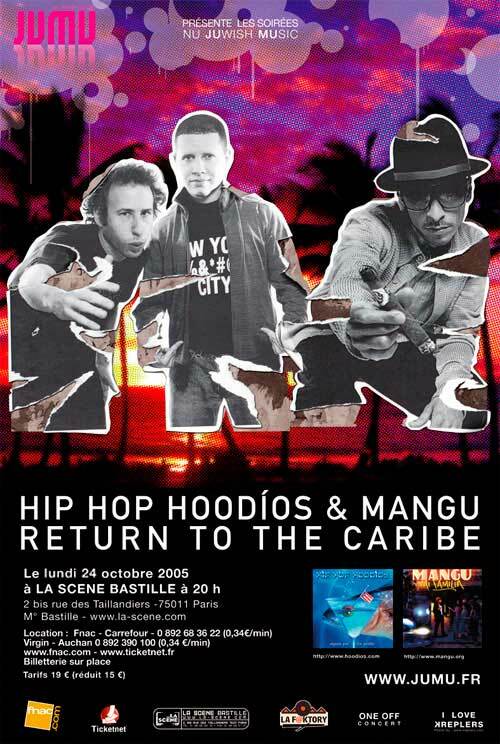 why "Hip Hop Hoodios & Mangu Return to the Caribe"? Hip Hop Hoodios are based in the United States,both artists' diverse music shares partial roots in the Caribbean. by El Caribe as by their own home countries. what do Mangú & Hip Hop Hoodios share in common? a willingness to cross cultures and fuse multiple genres with ease.